Fish slice soup, Teochew style, hidden away in one of Singapore’s old district and rich heritage area. A stall without any signboard above, it just looked simple and faded away in history. Yet, this Teochew fish slice stall, has a rich and simple fish soup base that comes along with fresh fish slices and bitter gourd ! I was introduced to this fish slice stall by my senior from Gan Eng Seng School Dragon Scout Group, when we met up together with other old boys of Dragon Scout Group for a lunch gathering at Blk 6 Tanjong Pagar Plaza Market and Food Centre. The stall is managed by an old lady with her son (I presumed) and they are located on the 2nd floor, unit number 46. They have fish slice soup and mixed fish soup, personally, I would go for their fish slice soup, love their simple and rich fish soup base with bitter gourd to “lower down the heat trapped inside you” and in Singapore’s hot and humid weather, it helps a lot and gives the soup a cooling and refreshing flavour too. 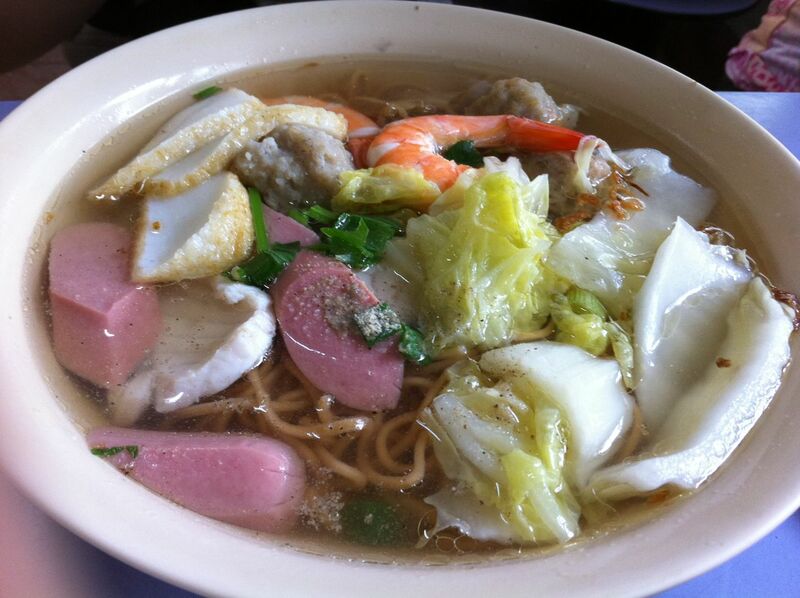 Look at the photos, it’s not oily at all and you would love the simplicity of the soup ! 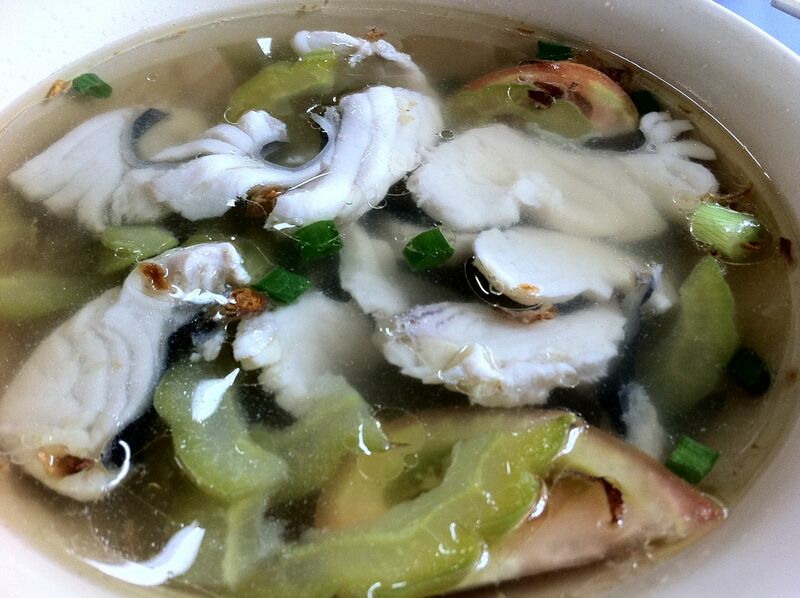 Once you have the soup and tasted the fish slices, you would definitely come back for more !